Definition at line 80 of file detect-engine-state.h. Definition at line 83 of file detect-engine-state.h. Definition at line 84 of file detect-engine-state.h. Referenced by DetectEngineStateFree(), and DetectEngineStateResetTxs(). Definition at line 85 of file detect-engine-state.h. Definition at line 81 of file detect-engine-state.h. 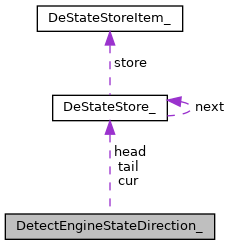 Definition at line 82 of file detect-engine-state.h.